1994: Started the Carson Scholars Fund, a 501(c)(3) that contributes money to educational programs. 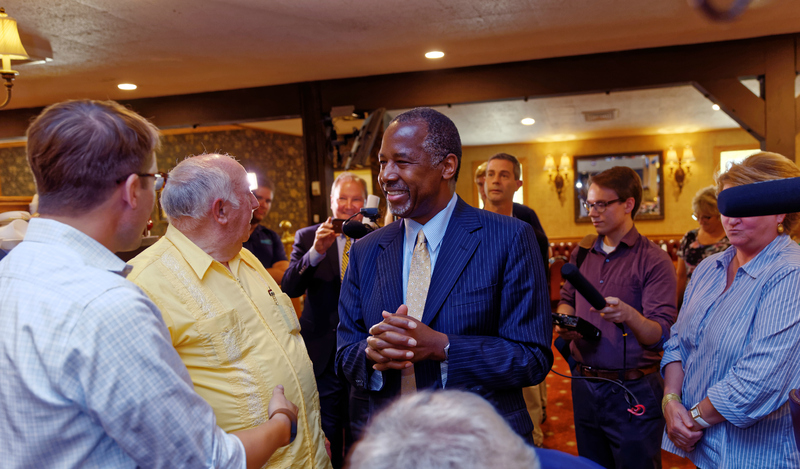 SUMMARY: Carson has consistently opposed the Common Core and believes education should stay as local as possible. Photo Credit: First image graphic design by Andrew Mullins; second image by Michael Vadon. The main trend I am seeing expressed by homeschool groups are his views on mandatory vaccinations. Homeschool groups seem to recognize his support for homeschooling but our “tribe” tends to favor parental choice for vaccines as well. Will be interesting to see how it all plays out. I like a few of these candidates but by the time I am able to vote in the primary, a fourth are no longer on the list. Side note gripe: We should all be allowed to vote in the primary on the same day. Sigh. My two cents. That sounds great. 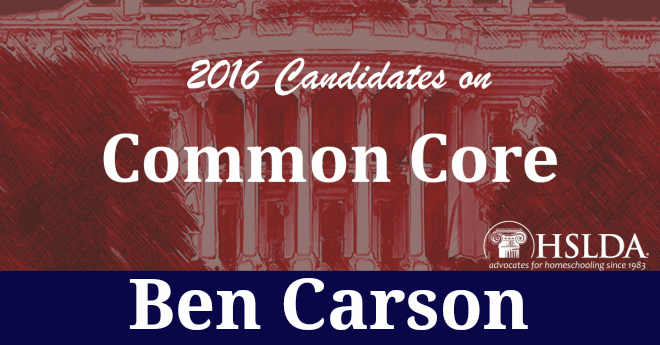 I’m glad to know Carson’s position on Common Core and his support of homeschooling. Dr. Carson appears to have a very strong stance on the individual liberty side of education. That is a good thing, for sure. However, his positions on vaccines, which included a Chairmanship of the Board of Vaccinogen, and his position on the second ammendment disqualify him for the Executive Office. We can fight government intrusion as much as we care to through our affiliation with HSLDA, but it would be of no value if we were to surrender our second Amendment rights or our remaining healthy children to the ill and nasty affects of mandatory vaccines. We the People must stop our fascination with elitists and stardom and think of our posterity for a change. Mandatory vaccines are a problem with Ben Carson. Parents should NOT vote for him if they want to be the ones deciding what’s best for their children. Rand Paul would make the best president out of this selection. Do your research people! I agree that he is disqualified from the list of presidential candidates, since I have also heard that he supports mandatory vaccinations/biologic warfare. The fact that he is against Common Core is good but the other issue very much overshadows it. Dr. Carson opposes common core but has gone on record saying that because vaccinations are a “public health issue”, that he would seek to override parental exceptions for any reason and make all vaccines MANDATORY, if he became president. Not cool!